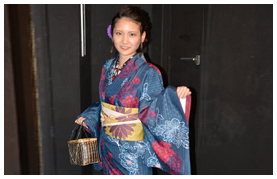 Yukata rental only for June, July, August. ※ Other discounts can not be used with advance booking fee. Advance reservation up to the previous day. Komachi staff coordinates things that match customers in about 20 outfits. Please note that customers can not choose kimonos and items . How to tie the Obi is a ribbon type. ※ Other discounts can not be used together. ※ Couple, family, group discount can not be used together. ※ Reservations outside opening hours are not available. 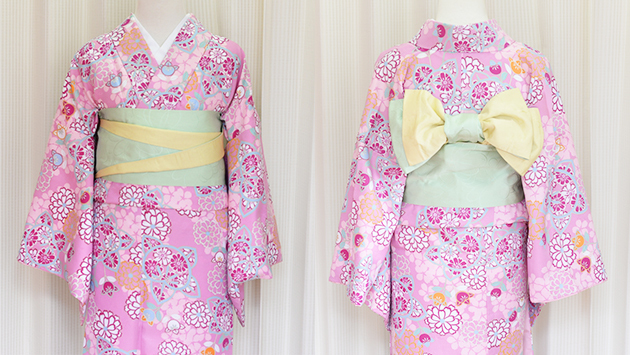 You can choose brand, designer's kimono (yukata) and all items. 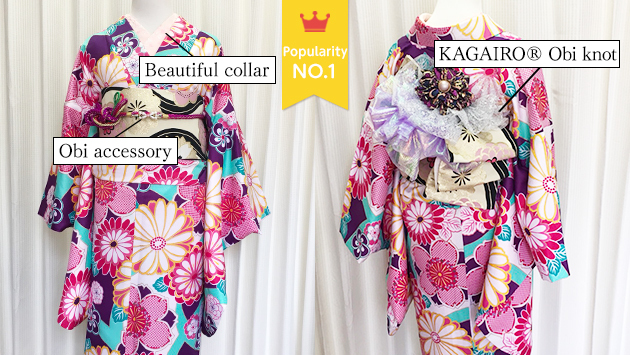 You can choose brands, designers' kimonos (yukata) and kimonos (yukata) accessories. In this plan,you look a refined adult by changing an obi knot. 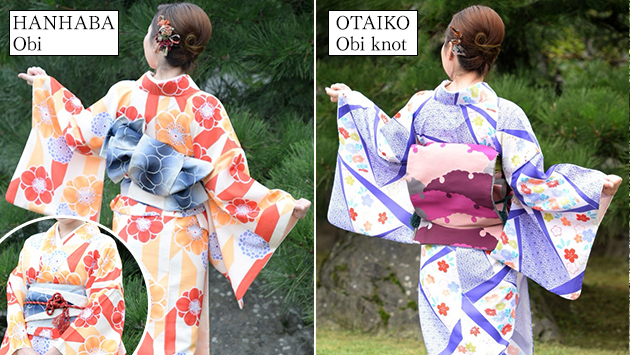 You can choose brand, designer's kimono (yukata) and all items by your preference.The obi knot is KAGAIRO®. You can choose your favorite thing from all kimono (yukata) and items including options except Furisode. 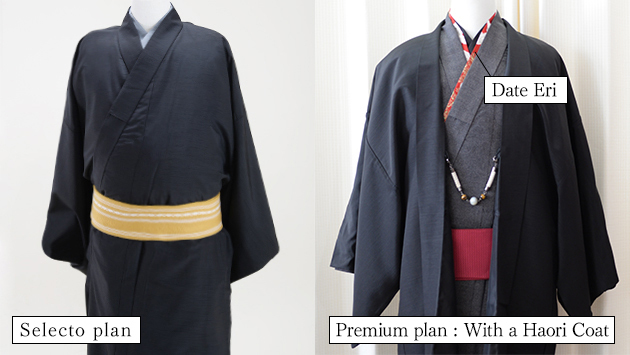 You can also choose from high-quality yukata with good touch and ventilation. This plan is include high class hair ornament in booking hair set will be. 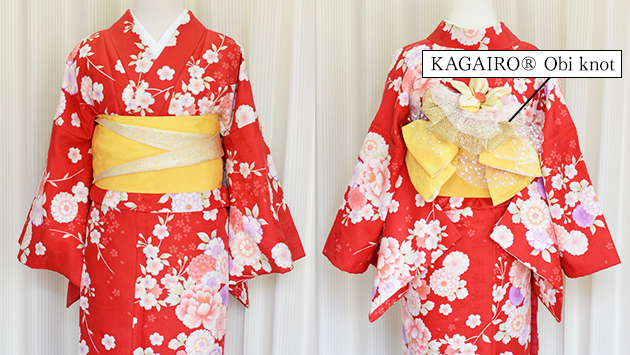 【Kaga Hime】 - Oiran- The feature is finished in a gorgeous and gorgeous look with a belt tie in front. 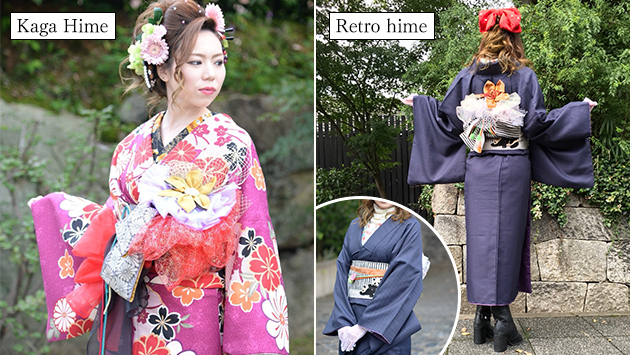 【Retrohime】 You can enjoy kimono easily by clothes sense. You can wear fashionably with boots and high heels. 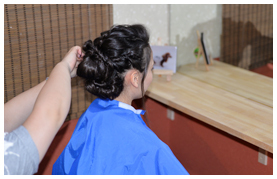 【YUYU course special hair set】The stylist do hair set according to each YUYU course and customer's atmosphere, image. It is a fun plan of kimono cosplay. You can have a different kimono experience! Please bring high heels and boots.If you have something to use, please bring it.Everything necessary for dressing is included. You choose from those that match your height. You choose from those that match your height.In the Premium plan , you can choose high class accessories. Target age: 3 to 10 years old. 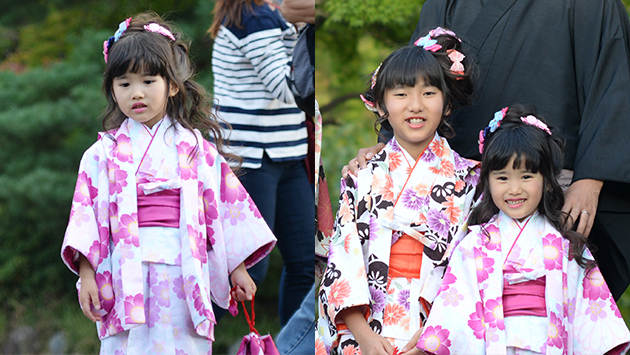 Kimono (yukata)for kids has a limited number. Please choose from women · men · kids, each plan. We discount 500 yen from the total price. ※ In parents plan and family plan,the target age of child is 3 to 10 years old. ※ Other tickets, other discounts can not be used together. ※ Great bargain staff coordination plan can not be used together. ※ Advance reservation can be used together. 500 yen discount per person. ※Reservations outside opening hours are not available. ※ If for any reason the number of people that is less than 5 people will not be discounted. ※ Hair set is extra. You can change or add items of kimono as options. ※All premium plans are all included. ※ Please don't be late. If you are late, we will charge 500 yen per person for 10 minutes. ※ If it is returned later than the next day,we will charge 1,000 yen per day as a late charge. One person 1,000 yen per facility. It is a convenient option to deliver your luggage to your hotel. Please return the kimono to the front desk next day. ※ We may not be able to accept it, so please contact us at the time of booking. ※ We ask that you bring your valuables by yourself. ※ We ask you to confirm your luggage that are brought to hotel in advance. ※In the event that it is lost or damaged, our shop is not assume any responsibility, so please acknowledge it. ※ We are limited to accommodation with front desk. We do not charge for the cleaning caused by normal use (such as mud or dirt by physiological cause).We charge 5,000 yen(tax excluded), or 10,000 yen (tax excluded) in case of luxury brand, for irreparable dirt and damage(such as oil magic, paint, tobacco sear, torn, perforation, wine stain, food spill etc.) . 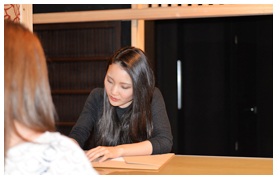 Kimono rental final reservation reception (entering store) is at 17:30. Please tell us about your cancellation as soon as possible when you decide cancellation. Depending on the physical condition of the pregnant woman, we may not be able to accept it, so please contact us in advanced. 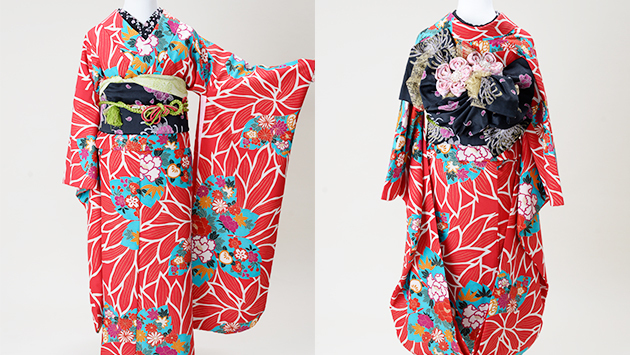 You can decide from watching the actual kimono on the day of the reservation date. How long time will it take with dressing and hair setting? It is dress up (about 15 minutes) · hair set (about 15 minutes). It is about one hour before going out after choose kimono. Because busy season etc is crowded, please come with some extra time in your time. I am tall, are there kimonos? Both men and women are preparing. Please come without worrying. Could you keep my clothes and luggage I took? I would like to put on kimono with my family, but is there kimono rental for children? For boys and girls Children from 3 to 10 years old are available in size. Are there accessories such as hair accessories? Hair accessories are available in large numbers. Those who book hair sets can rent them for free. Selecting Kimono Choose your most desired Kimono. You and our professional hairstylist choose the hair style that transform you. 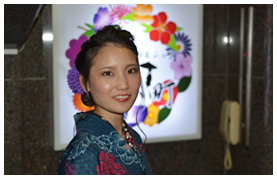 We have professionals who will help you wearing Kimono. Have a great time strolling streets of Kyoto. Returning Kimono and your stuff stored in our save. Copyrights © 着物レンタル ぎをん小町 All Right Reserved.